You may have noticed if you follow us on Instagram (and by the way I think you should) we recently acquired two baby goats. They are milk goat breeds, and they are a good breeding pair. So with luck they will breed this fall and we will be started down the road to a milk goat herd! 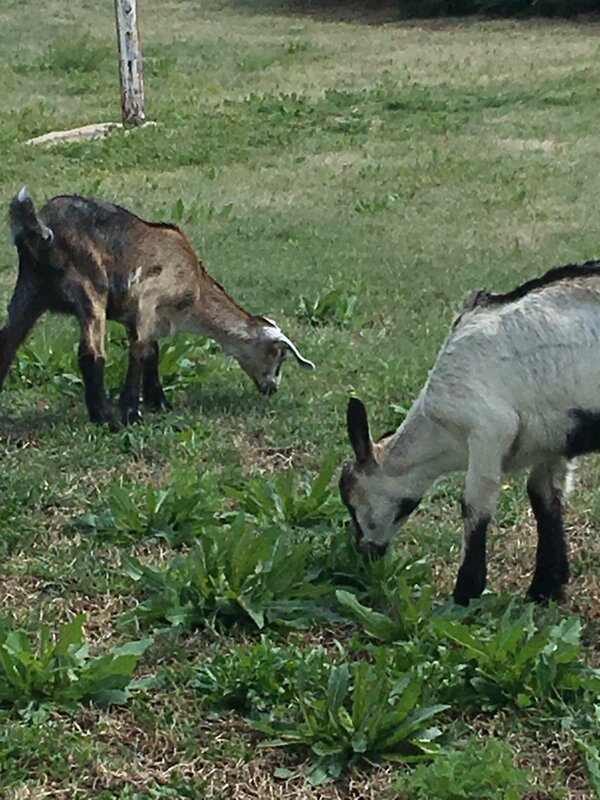 We acquired the goats from the parents of a close friend. Going into this we already knew this friends parents ran a farm similar to what we had always imagined doing for ourselves, so we made a field trip of picking up the goats, and we were able to get a tour of this great farm. Farming where we are, well we are Kansans and in Kansas everything is mostly flat and there are little trees. So “farming” here means mostly beef, pasture raised and feedlot finished. While planting grains like mostly wheat or corn are the crops. However not often do you see a farm, doing more of their own food needs. However that’s what we want to do, and that’s what we were able to see! We had an amazing time, and we were able to see how more farms today need to be. Working with nature and not against it. Producing much of their own food. And raising livestock that looked both happy and healthy. We were able to milk a goat, pet a baby goats just days old. Bottle feed a smaller twin goat. All while chickens and Guineas were running around. 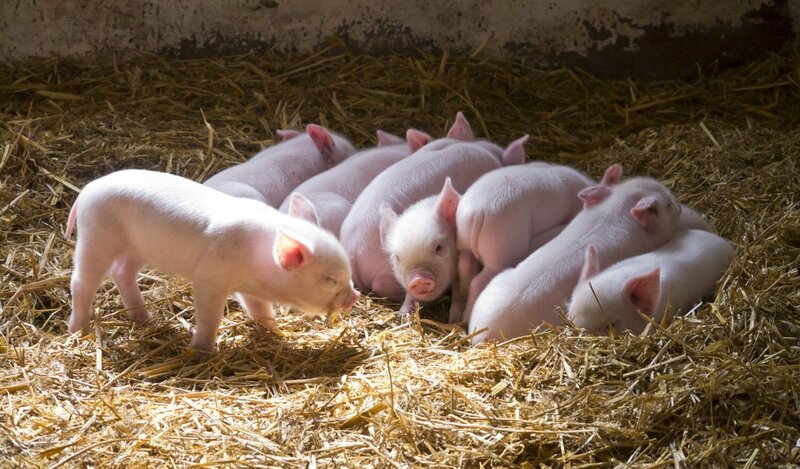 We were able to see the hungry pigs, and the small but not brand new litter of piglets. Through all this I got an awesome feeling of how complex life is, and how amazing the creator is. How he created everything special and unique. How animals you wouldn’t even expect are such good moms. Also how sad it is when we miss out on all the awesome details with large commercial food production. Not so long ago, the average person was a lot more connected to their food, and growing it. 100 years ago the average kid growing up would have gathered eggs from the hen house, pulled weeds in the garden and watched every spring as new life was born on the farm. What we were able to see that day, would have been normal life for most people 100 years ago. Even though it is far from “the norm” today it was a wonderful feeling being so connected to life, and watching my kids enjoying those things that had been lost in recent generations. This brought tears to my eyes. I’m honored. Just yesterday we had two visitors to our farm. Both commented on how much work I have to do, then one admitted, “You know, I miss this.” I love the work I do and I have so much satisfaction from actually producing most of the food that my family consumes. You are on the right path. There will be so many that envy your lifestyle, but few will ever make the effort to have it for themselves. Best of luck to you, and God Bless!